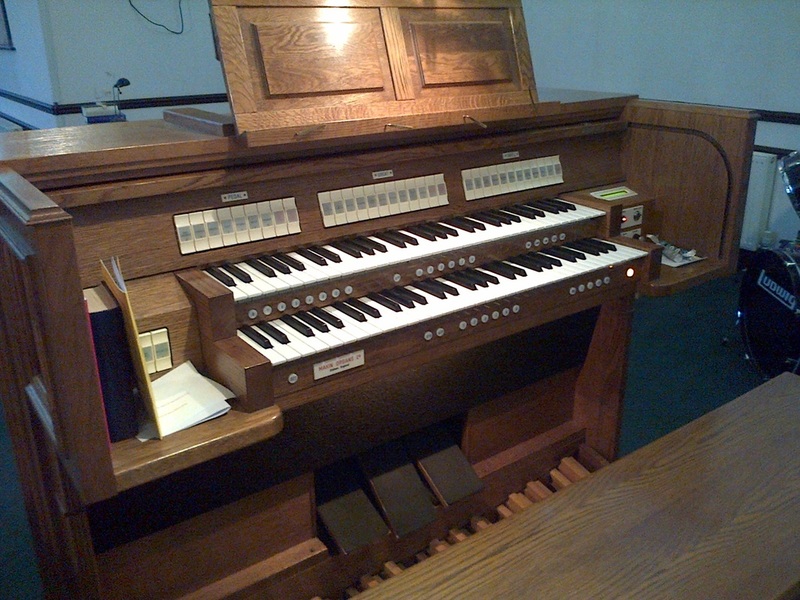 The Makin MT327 Organ was installed in April 1999 and re-installed when the Church was refurbished in January 2004. At this time the two speaker cases were positioned in the roof, large internal speakers can be added to these when demanded. 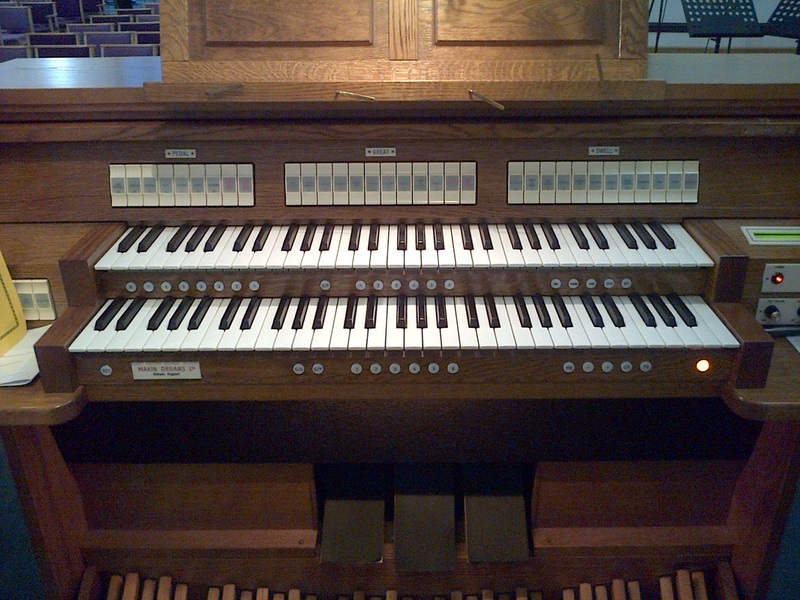 Few electronic organs can match a pneumatic instrument, but Makin are renowned for doing just this. Digital sampling is used to make a near perfect copy of original pipe sounds. There are two five octave manuals with a radiating concave pedal board. The Pedals have seven stops from Bourdon to Trombone. The Great has ten stops from Dulciana to Trumpet and the Swell also has ten stops from Voix-Celeste to Cornopion. Couplers join the manuals with each having an independent tremulant. In addition to the organ, we also have a Clavinova digital piano, drum kit and other instruments for use in worship and a piano in one of our meeting rooms, which is used weekly by our various Church groups. At Frodsham Methodist Church we are lucky to have some very talented musicians. 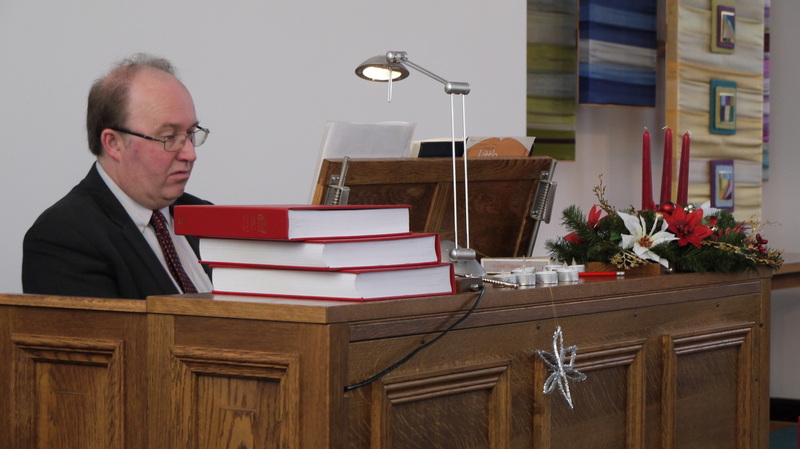 Our Organist, Mr. Andrew Ellams, or Deputy Organists, Mr. Harry Leather and Mr. John Holmes, accompany most services on either organ or piano. We also have the 0930 Live! 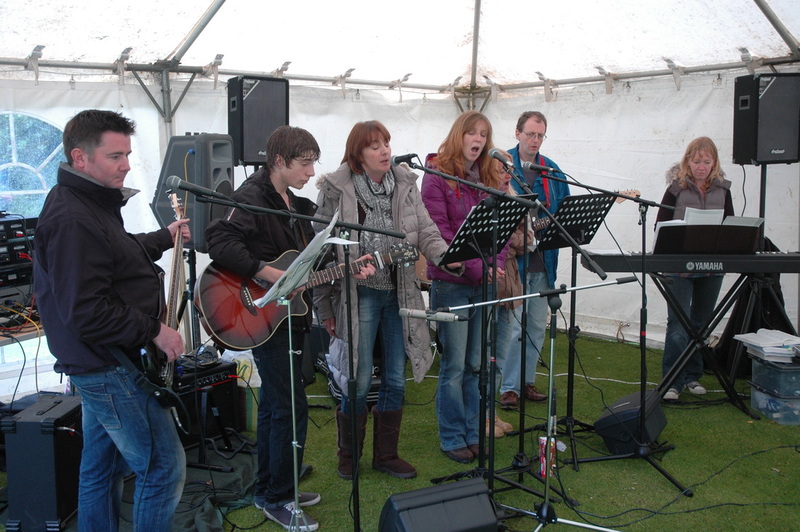 band who play at the fortnightly 0930live! service and other services. We have other musicians and singers who are always available to sing or play at special services or at the meetings of our clubs and groups. Mrs. Valarie Ball, one of our Church members, leads a choir who sing each year at the Candlelight Carol Service and at other special services in the year.